This page is designed to help parents or guardians understand college basics and the financial aid process to support their student(s). A financial aid specialist is available to help you every weekday from 8:30 a.m. until 5:00 p.m., except for a few holidays during the year. Please feel free to contact us at any time. This page is divided into the following sections which represents some of the most frequent questions we are asked by parents. Who is Parent for Financial Aid Purposes? While we understand the modern family comes in many shapes and sizes, the federal and state governments continue to have a strict definition of who a parent is for financial aid purposes. The federal government defines a parent for federal financial aid as a biological or adopted parent only. If the student is living with a biological or adoptive parent and that parent is married, then the step-parent is also considered to be a parent. All other guardians are not considered to be a parent unless they have legally adopted the student prior to the age of 13. If your student is unable to provide their biological or adopted parent's information on the FAFSA, please call our office at 716-878-4902 to discuss the situation so can advise you on the next steps and how financial aid forms should be completed. More information is also available at Who is My Parent on the FAFSA? Generally, parents are required to report their information on the FAFSA until the student turns 24 years old, even if the parent is not providing any financial support to the student. By federal law, college students are considered adults and are protected by The Family Educational Rights and Privacy Act of 1974 (FERPA). Therefore, there are some matters that college staff cannot discuss with parents, even if the parent is paying the bill. If a parent is listed on the student's financial aid form (FAFSA), the financial aid office staff is permitted to discuss financial matters with that parent. However, we generally cannot discuss the student's academics. Please make it a habit to check in on your student and ask how they are doing. There are many free tutoring services on campus to ensure your student can be successful. Encourage them to use these resources. Additionally, all communication is sent directly to the student, typically to their Buffalo State email address. It is very important that students regularly check this email account.  Admissions - Students must be admitted to Buffalo State before the Financial Aid Office can create their award package. Students should apply using the SUNY Online Application. After the student officially graduates high school, they need to make sure their high school sends Admissions their final high school transcript and any other college/AP/IB credit. Registration - Students need to successfully complete (pass) 15 credit hours each semester to graduate in 4 years. Most bachelor's degrees require 120 credits to graduate; therefore, 15 credits x 8 semesters = 120 credits. Encourage your student to register for at least 15 credits per semester, provided they are can handle the courseload. Scholarships - Students should search for scholarships throughout high school, with the emphasis on their junior and senior year of high school. Encourage your student to explore the opportunities in the Campus Application Portal for Scholarships (CAPS). Students cannot apply for these scholarships until after they have submitted their admissions deposit. Students should also explore the other resources provided on the scholarship webpage, including community foundations and scholarship matching databases. Scholarships are a great way to reduce the cost of attending college. Residence Life - Living on campus is a valuable experience for many students. However, it does significantly affect the student's bill. Carefully review the housing rates for the various dorms. Meal Plans - Campus Dining Services - Freshmen and sophomores that live on campus are required to have a meal plan. All other students have the option to purchase a meal plan. Getting Started: What's it going to cost? Don't get caught by surprise! Even before your student applies to Buffalo State, you can have an idea of the costs and average aid package your child may receive. College Scorecard: The Scorecard is managed by the federal government to help students and families compare colleges based on key statistics, like the graduation rate or average loan debt. Use this to get an idea of costs and aid packages. Net Price Calculator: This tool provides an estimate of how much aid a student will receive based on their family income. Cost of Attendance: Review all the costs associated with going to college based on the student's living status of on-campus, off-campus, or commuter. When reviewing the cost of attendance, remember that "indirect" costs are not billed to the student. Rather, they are costs the student is likely to incur and should budget accordingly. Compare financial aid award offers to determine the net costs of each school being considered (use the Estimate your out-of-pocket costs worksheet for each school). Review scholarships posted in CAPS and apply once admissions deposit is paid. Complete Federal Direct Loan Entrance Counseling and a Master Promissory Note, if student will borrow loans. Begin class and do well! Students must meet minimum standards to continue to receive financial aid, including loans. Students are billed on a per semester basis. Typically, students are billed in July for the fall semester and in December for the spring semester. Bills are typically due just before the semester begins. While financial aid doesn't disburse until after the semester begins, students are given credit for the financial aid that's authorized on their account. All billing is electronic and students will receive an email at their Buffalo State account when a new bill is available. Students can authorize a parent or other party to access their bill. If you want to review the bill, encourage your student to set you up as an "authorized user" on their billing account. This gives the user access to view and pay the bill only. In many cases, the financial aid offered to a student does not fully cover the bill, therefore, it is important to have a plan in place before each semester begins to cover the remaining amount due. For help with billing and/or payment plans, contact the Student Accounts Office at 716-878-4121. Are you checking your Buffalo State emails regularly? Notifications from Financial Aid are electronic and students receive emails regarding all aspects of their aid including awards, requirements, messages, holds, and academic progress to maintain eligibility to receive aid. Do you need to accept the loans offered to you in your awards package to cover or reduce your college bill? Students are not required to accept loan money, but if they choose to take loans to cover or reduce the amount owed to the college, they must go into their Banner and "Accept" the loan(s). Once loans are accepted, they must also be sure to complete any outstanding requirements directly associated with loans: Entrance Counseling and Master Promissory Note. If these two requirements are not completed, the loan money will never disburse. Have you reviewed your college bill? The Student Accounts Office handles the billing and refunding. To view their bill, the student goes to their online Banner account and clicks on "View/Pay Bill" from the main menu. While Financial Aid assists the student in obtaining funds to help cover expenses, the Student Accounts Office covers all aspects of their charges (housing, meal plans, tuition, fees, etc.) and refunds. ​​Students must meet minimum academic standards to continue to receive financial aid, including loans. Make sure your student is maintaining at least a 2.0 overall GPA (C average) and is completing most of his/her courses. Excessive failures and/or withdrawals can result in the student being ineligible for financial aid. Parents need to file their taxes correctly and on-time each year, and help the student complete the FAFSA and TAP application. Review your student's financial aid package and expected bill together. Is the bill covered? If it's not, how will the remaining amount be paid? If your student will be staying on campus, ensure there is sufficient financial aid to cover the bill or explore other housing options (off-campus apartment). if the parent loan is denied, then we can offer the student an additional unsubsidized loan in lieu of the denial. Are they checking "electronic" notifications via their BSC email account? Are all requirements completed for financial aid? If they are taking loans, have they accepted them? Are they in good academic standing? Is their college bill is paid? Any one item on this checklist can result in the student's loss of aid and/or inability to register for a following semester. Please be sure they understand the importance of monitoring all of the items.